UPR's Billet AC Knob Bezels for the 2011-2013 Mustang fits over the factory plastic AC knobs to add to the appearance of the stock knobs. Our mirror polished finish matches perfectly to the stock chromed plastic pieces. 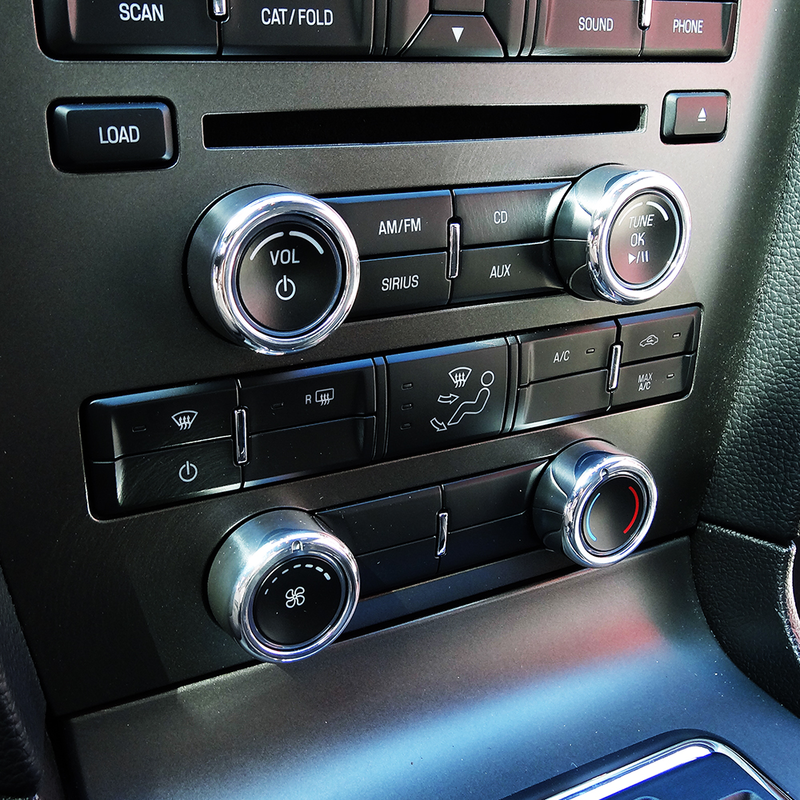 Crafted to fit around the factory AC knobs like a glove. Installs 5 minutes or less with a small amount of silicone adhesive (not included). *2011 2012 2013 GT V6 Boss 302 Shelby GT500 Mustang Cobra Shelby Roush Saleen & Steeda Vehicles. * Does not fit models with Navigation Unit. No one else can stack up to the bold clean styling of our aftermarket Billet dress ups, Street Strip & Racing Suspension & Performance Parts for your late model American Muscle Car!